JDC Routine 2018. JDC has been declared on 18th July 2018. 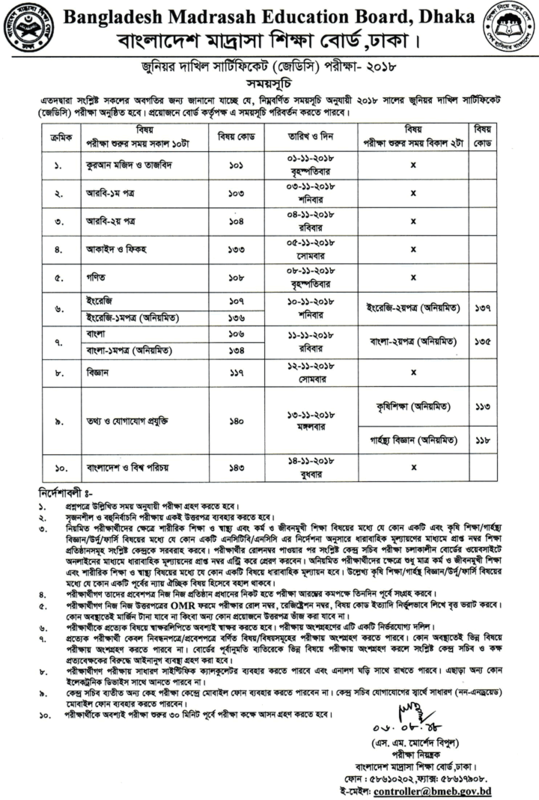 Bangladesh Madrasha Education Board publish JDC Exam Routine 2018 on their own website (http://bmeb.ebmeb.gov.bd/) for all Madrasha student of Bangladesh We always wish your good success. For your convenience, we have made routine image and PDF file. 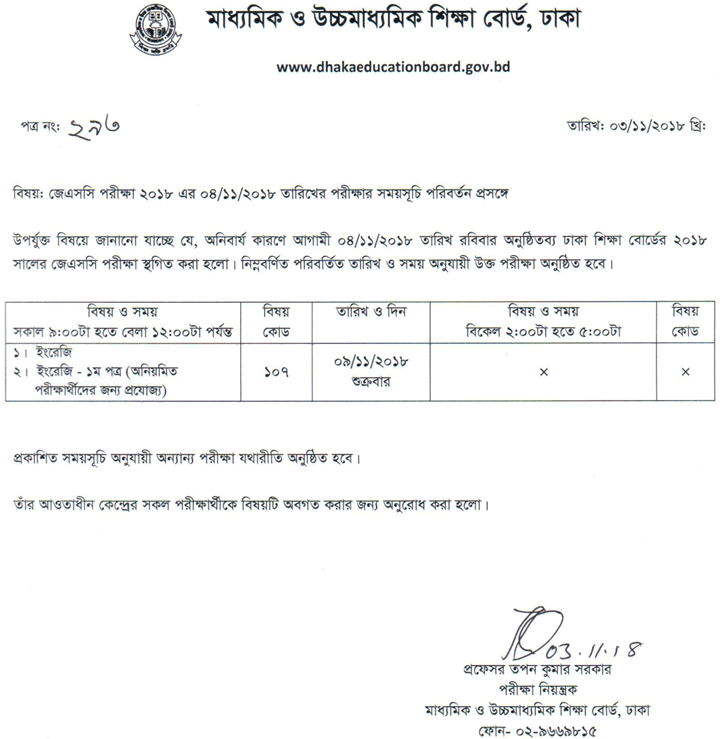 Junior Dakhil Certificate (JDC) is the first secondary public exam in Bangladeshi Marasah students. Class eight students attend this exam. There is a large number of student appeared this exam. Every year the JDC exam have taken 1st week of November. This year JDC exam will start from 1st November 2018. JDC Exam Start : 1 November 2018. Exam End : 14 November 2018. JDC exam 2018 will start from 1st November, 2018. Junior Dakhil Certificate Exam Routine 2017 published soon. JDC Routine Published 23 August, 2018. When the authority Published JDC time and schedule, we updated here. So Keep on your eyes to get all updates. JDC Result, JDC Suggestion, JDC Result Marksheet, JDC Result Rescrutiny Application Process 2018.